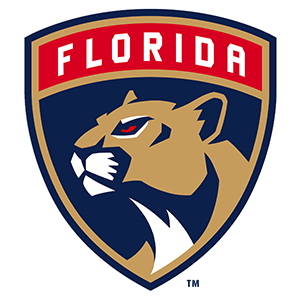 The Florida Panthers promote responsible drinking and positive fan behavior at BB&T Center. The Panthers Fan Code of Conduct and the details of the Panthers alcohol management plan that appear below ensure that fans have a safe and fun experience. Guests wearing obscene or indecent clothing will not be permitted to enter. Guests interfering with the ability of others to enjoy the event will be ejected. Guests using foul or abusive language or gestures will be ejected. Guests appearing intoxicated will be ejected and turned over to the Sunrise Police Department. Guests interfering with the progress of an event will be ejected from the building and subject to possible arrest. To enforce these policies, security is located throughout the building during all events. Guests violating any of these rules will not be welcome at BB&T Center. Those who observe other guests violating these policies should report the incident to the nearest building representative. Guests should also be aware that during hockey games a puck could be propelled into the spectator area with enough force to cause serious injury. Stay alert at all times while you are watching the game, including after the stoppage of play. If you are injured, ask the nearest usher for help and directions to First Aid. Clubs/Suites: Suites – no orders are taken in the 3rd Period but stay open 1 hour after the game ends. Clubs serve 30 minutes after the game ends. The Florida Panthers offer fans a Designated Driver program at all Panthers games at BB&T Center. Fans who pledge to be designated drivers receive a complimentary soft drink.